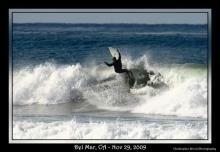 The SurfShot Del Mar Surf Photos section was created to showcase the best of Del Mar Surfing Photography. With hundreds of thousands of surfing photos uploaded by our users, surf reporters and from the SurfShot Magazine contributors, here you will find some of the best Del Mar surfing photos. 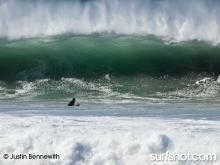 Do you often shoot Del Mar surf photos? Join today and post your Del Mar photos to our site. It is as easy as posting to your Facebook wall. 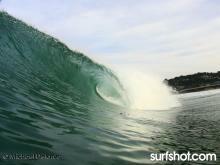 All you have to do is to create a free account and start posting your surfing photos of yourself or your friends. Torrey Pines crankin and no one out !